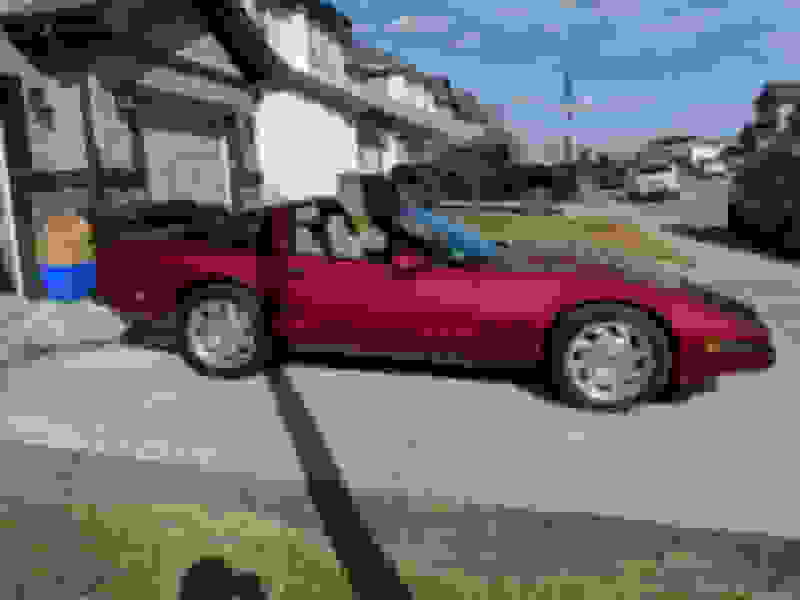 As the owner of a '92 and one who lives in beautiful green (read "wet") BC, the first thing I'd like to say is - if I didn't (occasionally) find myself driving my Corvette in the rain, I'd be limited to driving it in July, August and September only! It's ok to get them wet; they're made from composite moulded plastic and they don't shrink. Just don't do something stupid like trying to drive through 6" of standing water as they breathe from the bottom and you'll hydro-lock the engine. That having been said, I hate driving mine in the wet because I'm OCD and my car is normally spotless inside and out and it takes me HOURS to clean under the hood after just 5 minutes of rain! Second: your Opti-Spark will fail eventually. They all do - it's just a question of when. If you're really lucky the previous owner will have experienced this recently and it'll have been his problem, not yours. If he hasn't, don't worry about it - just drive it. If the car starts to buck and becomes difficult to start, well, it's probably your Opti. Get yourself a vented MSD unit, a new water pump, a new water pump seal, a new set of good plugs & wires, and a case of beer and do them all at the same time. You'll be glad that you did a decade later-on when you've not had to touch anything again. You'll need the beer because you'll be at it for a good while if you've never done it before. Budget a weekend and surprise yourself if you get it done sooner. Third: Don't use high pressure water on your ECM (it's the box above your battery on the driver's side). I speak from experience. This is especially important if your car is a '92 - '93 as our ECM's are much harder to replace. Water and electronics is a bad combination. Same thing goes for the Opti - even if it is vented. That having been said, I'm OCD and I regularly wash under my hood (it wins me trophies). Just don't be stupid about it. Fourth: Check EVERYTHING on the car before you buy it. If you get one with electrical gremlins you'll either spend a fortune trying to track them all down or you'll learn to live with a car that's lit up like a Christmas Tree and one that may have limited functionality (ie: ASR will be non-functional). If it's just a Tire Pressure Monitor that's showing or a Check Engine light then I wouldn't be terribly concerned but Christmas Trees should be avoided. Also avoid cars that are bright and shiny but have dubious accident histories. There are plenty of good, solid ones out there. It's always a good idea to get a pre-owned car up on a hoist by a professional mechanic and have a good look at it. If it costs you a couple of hundred dollars to confirm that your selection is correct, well, that's cheap insurance. If it costs you a couple of hundred dollars to reject a car, well, that's the cheapest repair that you won't have to make. Either way, it's money well spent. Fifth: If you buy it and you don't know the maintenance history, assume that it needs everything and change all the hoses, belts and fluids. Drain the coolant and pull both knock sensors out of the block to drain the other 40% of the coolant that remains there when you don't do this. Read up on what anti-freeze to use and don't mix brands - there's plenty of info here on the Forum about this. Check the entire braking system including the steel lines (for corrosion) and all rubber hoses (for cracks or swelling). If in doubt, replace them. It'll pay you back in safety and reliability for years to come. 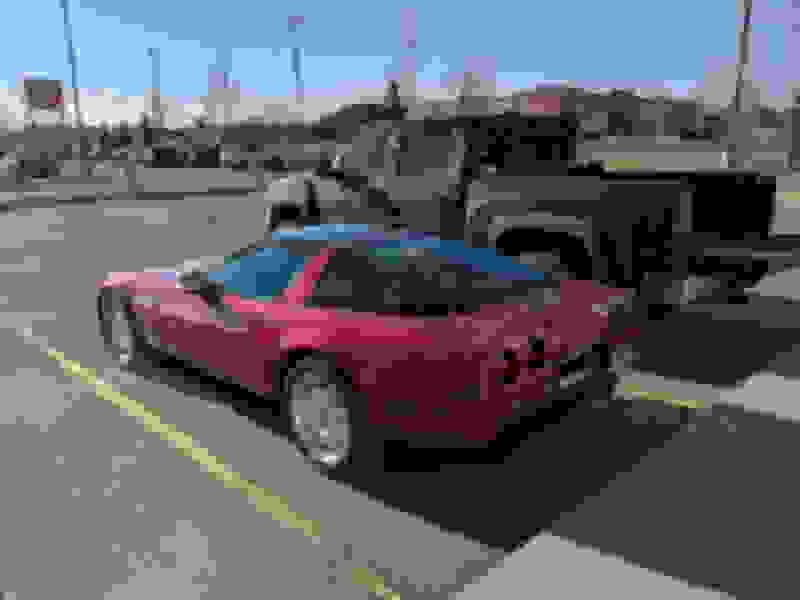 Sixth: Join your local Corvette Club, become a member of the NCM and get out there and drive your 'Vette! Driving the wheels off of them is waaaayyy more fun than just waxing them and staring at them from the comfort of a lawn chair in a parking lot! Besides that, if you simply park it in your garage and stand back and gaze fondly at your shiny garage queen, you'll wind-up eventually selling a good, lightly used, Corvette to another guy who's just going to drive the hell out of it! Don't let that be you! Buy it, drive it, break it, fix it, repeat. And have fun! 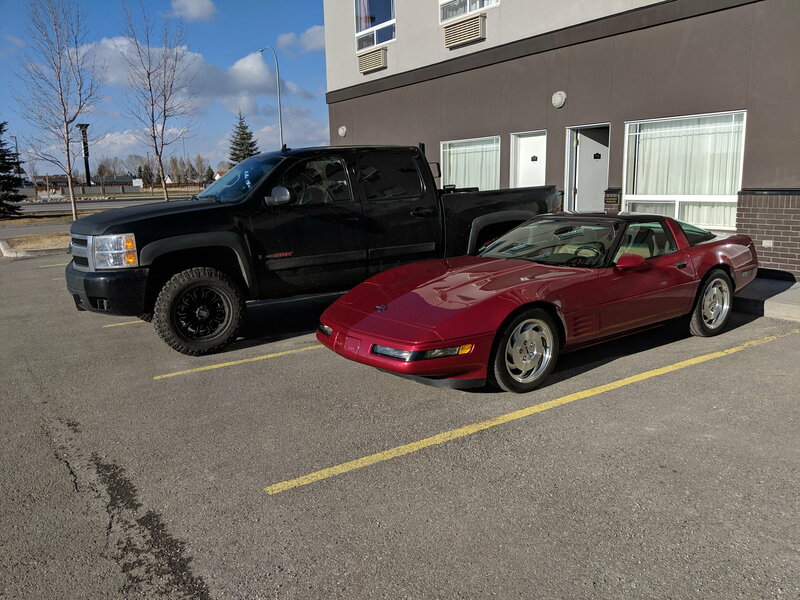 Oh, and welcome to the Corvette fraternity - you'll meet the nicest people in a Corvette! That's all you need to know. I am a proud new owner of a C4! Just have to do typical maintenance, Oil change, complete fluid flushes, new serpentine belt, plugs and wires. Possibly new suspension bushings all around, some creeks from the stock rubber bushings. WOW that is a very nice example! Love the color Drive it as often as you can... these cars don't like to sit around! And thanks for posting pictures. I agree with DGXR, don't worry about the Opti, drive it. Pay close attention to clutch hydraulics, clutch and above normal noise when operating the clutch. Dual mass flywheels are long gone and can add quick if a replacement is needed.